Sen. Ed McBroom, R-Vulcan, and Rep. Greg Markkanen, R-Hancock, read "Johnny Tractor and His Pals" to students at Houghton Elementary School in Houghton on Friday as part of National Reading Month. 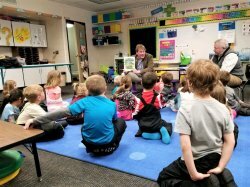 The legislators also read to students at South Range Elementary School in South Range and T.R. Davis Elementary School in Dollar Bay. State Sen. Ed McBroom, R-Vulcan, meets with Horizons Alternative High School students in his office on Wednesday. The group made the trip to Lansing to discuss education-related issues with legislators. Sen. Ed McBroom, R-Vulcan, looks on as Gov. 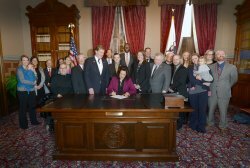 Gretchen Whitmer signs Senate Bill 87 on Thursday, March 21. The legislation saves the 95-A District Court judgeship in Menominee County from elimination. Sen. Ed McBroom, R-Vulcan, looks on as Gov. Gretchen Whitmer signs Senate Bill 87 on Thursday, March 21. 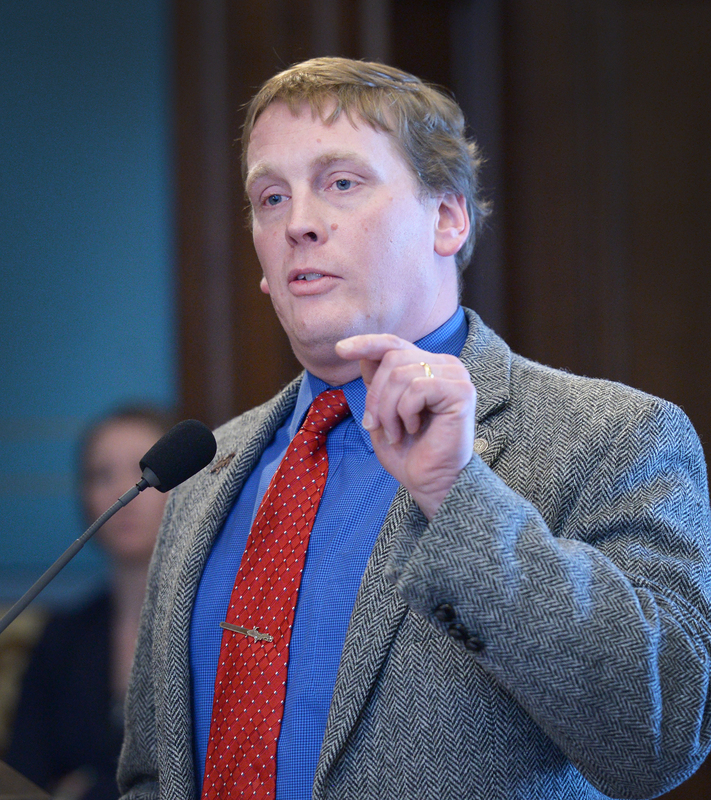 The legislation saves the 95- A District Court judgeship in Menominee County from elimination. 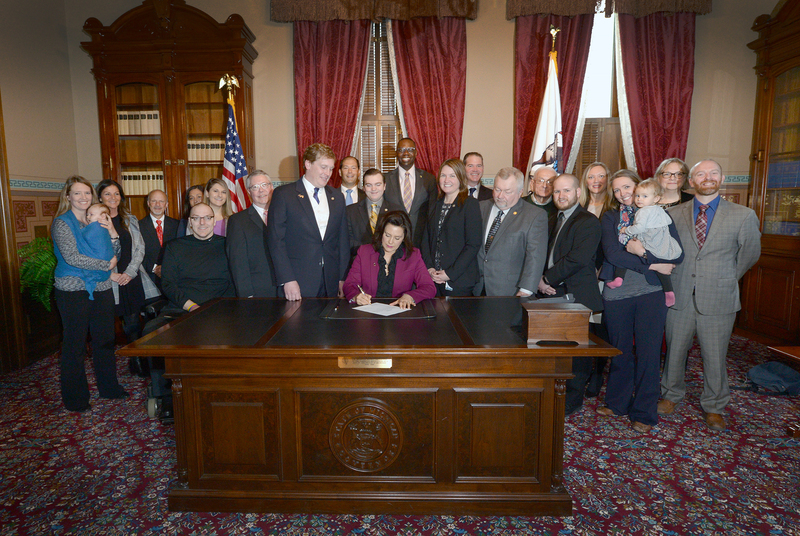 Also appearing in the photo are McBroom&apos;s staff; Lt. Gov. 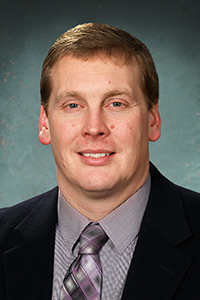 Garlin Gilchrist; Rep. Beau LaFave; Rep. Greg Markkanen; Rep. Sara Cambensy; Dickinson County Circuit Judge Chris Ninomiya and his wife Mary; Dickinson County Circuit Judge Mary Barglind; Dickinson County Probate Judge Thomas Slagle; state Supreme Court Justice Beth Clement; Menominee County Board Chairman Jerry Piche; Menominee County Controller Jason Carviou; State Court Administrators Office staff, Tom Clement and Jerry Kole; and Meghann Keit of the Michigan Association of Counties. 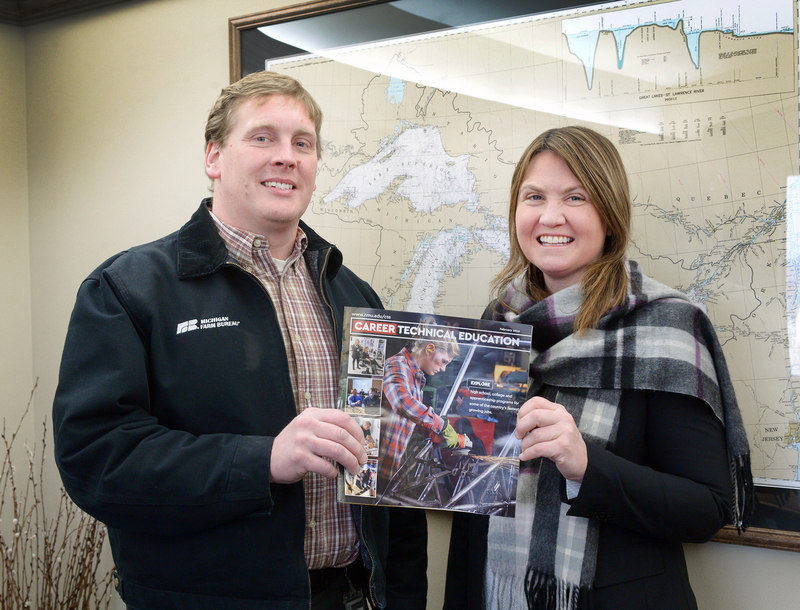 Sen. Ed McBroom, R-Vulcan, and Rep. Sara Cambensy, D-Marquette, pose with an issue of CTE Magazine on Flannel Day. State Sen. Ed McBroom, R-Vulcan, welcomed students from L&apos;Anse and Superior Central high schools to the state Capitol on Thursday. The students, pictured with McBroom on the Senate floor, were visiting Lansing as part of the Michigan Youth in Government program. 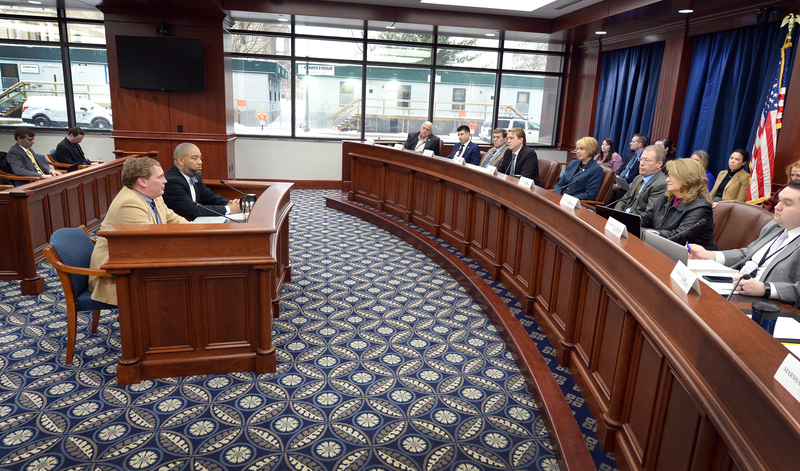 Sen. Ed McBroom, R-Vulcan, and Sen. Marshall Bullock, D-Detroit, testify before the Senate Insurance and Banking Committee on Wednesday, Feb. 27, 2019 about the impact of high auto insurance rates on their respective communities. 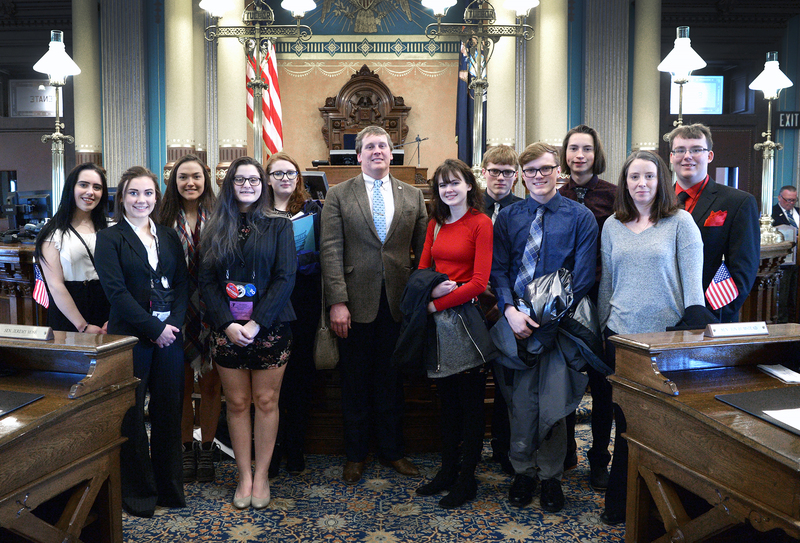 State Sen. Ed McBroom, R-Vulcan, welcomed a group of students from Gladstone High School at the state Capitol on Thursday. 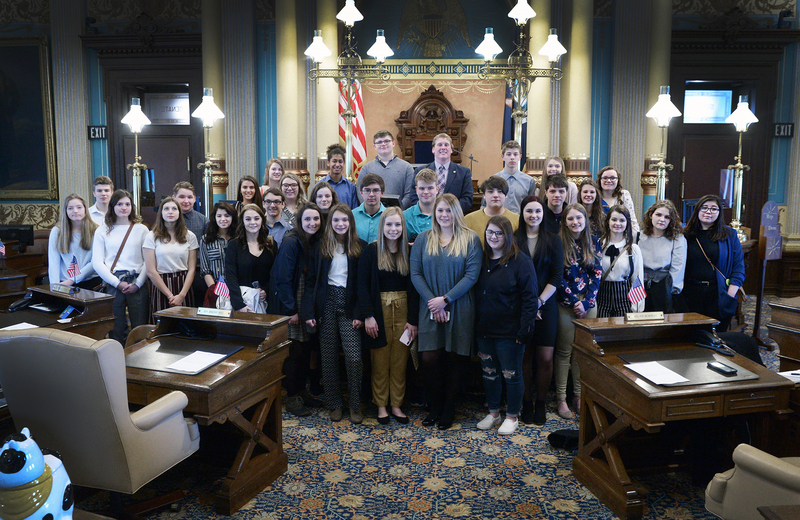 The students, pictured with McBroom on the Senate floor, were visiting Lansing as part of the Michigan Youth in Government program. State Sen. Ed McBroom, R-Vulcan, attended the U.P. 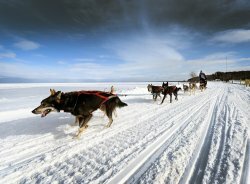 200 sled dog race, held Feb. 15-17. 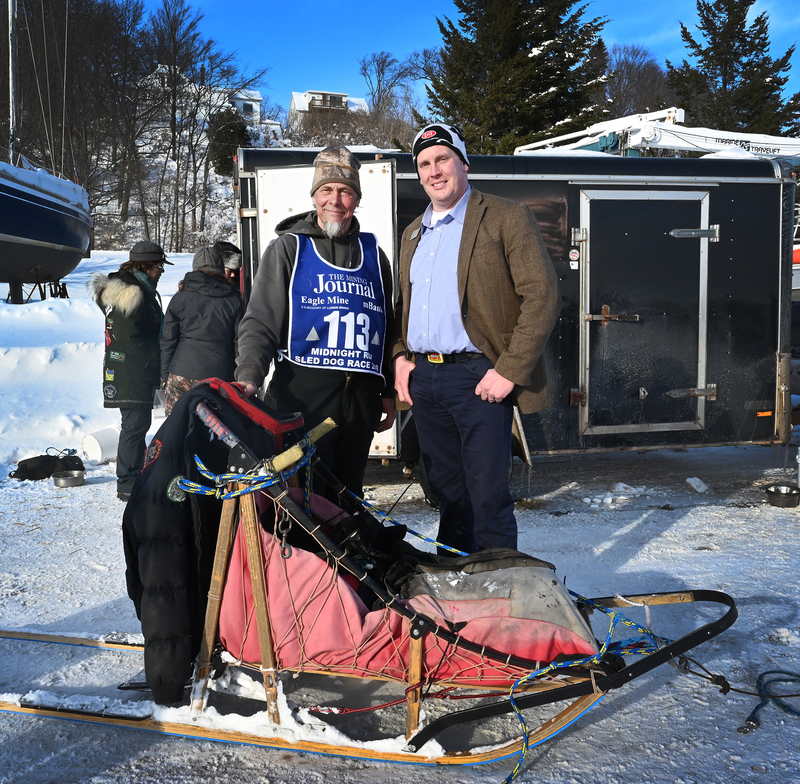 McBroom is pictured with Tom Bauer, a constituent from Tapiola and musher who competed in the race. 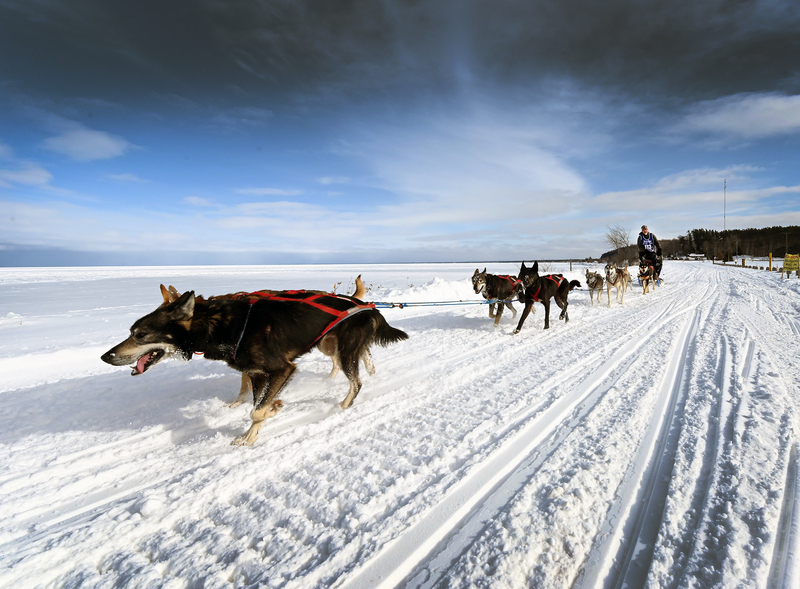 Tom Bauer, a constituent of Sen. Ed McBroom from Tapiola, drives his sled dogs during the U.P. 200. McBroom, R-Vulcan, attended the race, which was held Feb. 15-17. This year&apos;s race covered approximately 230 miles round trip from Marquette to Grand Marais and back. 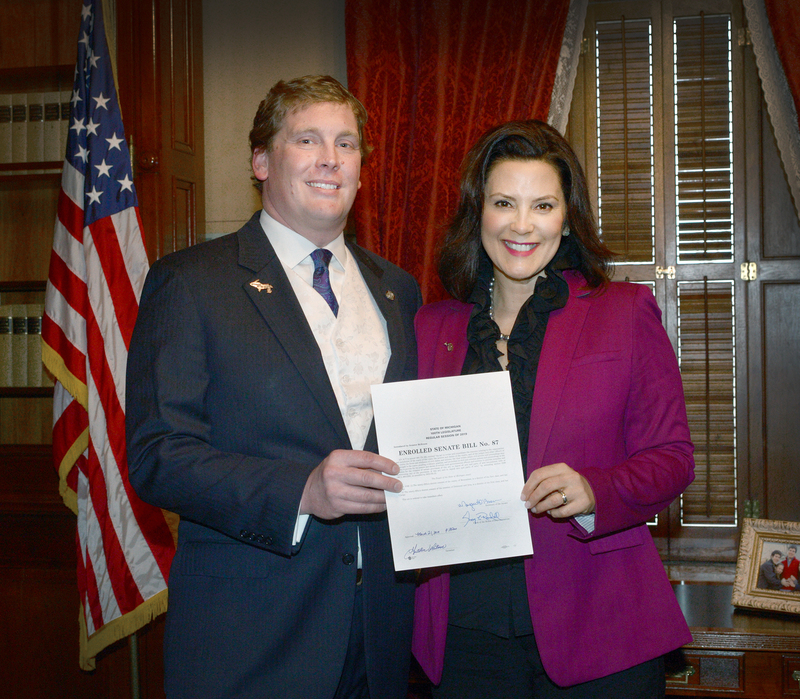 State Sen. Ed McBroom was formally sworn in as senator of the 38th district on Wednesday, Jan. 9, 2019 during a ceremony at the state Capitol. 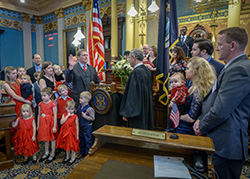 Pictured with McBroom are members of his family, friends, and Michigan Supreme Court Chief Justice Stephen Markman, who administered the oath of office.